Amsterdam startup hub Rockstart opens applications for the second edition of its Smart Energy Accelerator set to kick off in January 2015. Rockstart Smart Energy Accelerator is a program designed to help early stage smart energy companies go faster to market. 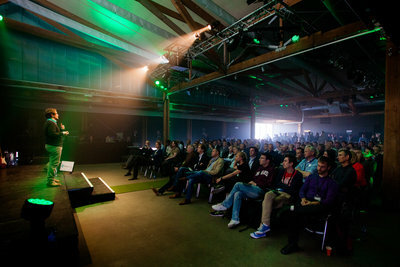 The Rockstart Smart Energy Accelerator launched in January 2014 in Amsterdam as the first program in Europe to power startups at the intersection of IT and energy. For the 2015 edition, Rockstart is scouting top class teams building innovative solutions for smart homes, meters, grids, and transportation; collective and decentralized energy generation & distribution; energy reduction; and energy usage awareness, and behavior. Startups can submit their applications until October 12. ‘When we launched, we sensed that the industry was ripe for disruption and we have been impressed by how fast things have moved forward in just a few months,’ says Bosma. ‘The energy world is changing. Nest’s $3.2 billion acquisition by Google, Opower’s IPO and Tesla’s opening of their patents are just a few striking examples. We see great opportunities opening up for entrepreneurs in the energy space, thanks to internet technology. With our experience, tools and networks we believe we can help tomorrow’s visionaries grasp these opportunities faster and turn them to high growth global companies.’. 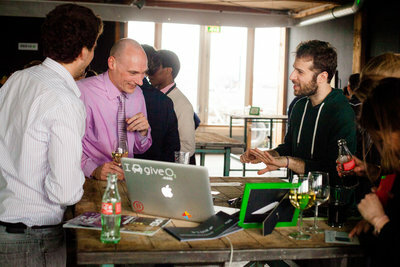 The program runs over an intensive six month period, during which startups are coached by 90 expert mentors. “Our mentors have the contacts. They can open doors, help validate solutions in the marketplace, find launching customers or partners and accelerate entrepreneurs through the first phase of starting a company”, says Yme Bosma, Program Director of the Smart Energy Accelerator. The program offering includes €20,000 ($26,000) in cash investment, a service package of €55,000, six months office space at the biggest startup hub of Amsterdam, legal and fiscal support and an international roadshow to the world's leading energy hubs.The program is divided into two phases: The first phase runs over the first three months during which startups focus on validating their market, finding their business model, building the product and nailing their business pitch. This phase ends with the first milestone of the program, the Demo Day, where the startups showcase their business to more than 250 investors, experts and press. During the following three months the program focuses on helping the startups close follow-on funding and partner deals, as well as do PR and grow the business. ‘Rockstart was literally a rollercoaster. Within a few weeks we went from a small project to a well known startup. The program gave us the chance to meet so many experienced entrepreneurs which gave us a big push and helped us grow fast. 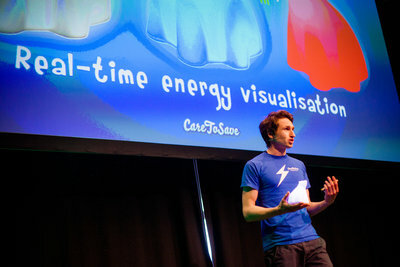 We worked with people who understood where we wanted to go and had the industry expertise and connections to help us get there.’, says Paul Stomph, co-founder of Rockstart alumnus Qwiksense, a company that leverages actionable sensor data analytics to create healthier and energy efficient working environments. The founders of the 10 startups will go on tour to international energy hubs in Silicon Valley, Tokyo and Berlin to establish connections with local stakeholders. The teams will pitch to leading VCs, angel investors, and serial entrepreneurs to gather interest for investment rounds, establish partnerships and to acquire large customers. Amsterdam is the ideal gateway to enter various European markets. Its ease of doing business, connectivity and favorable fiscal environment has brought some of the biggest global companies to establish their European headquarters in Amsterdam. The market's small size with the combination of the high percentage of English speaking population (90%) makes the Netherlands an ideal marketplace to launch and test innovation products. It is also a particularly great place to start an energy innovation company. Amsterdam is declared the third smartest city in the world, and a leader in electric car revolution by the New York Times and Korean Times. It's no surprise that two of the biggest EV manufacturers, Tesla Motors and CT&T, have established their European headquarters in Amsterdam. Furthermore, Amsterdam is the host of the biggest utility industry event in Europe - the European Utility Week. 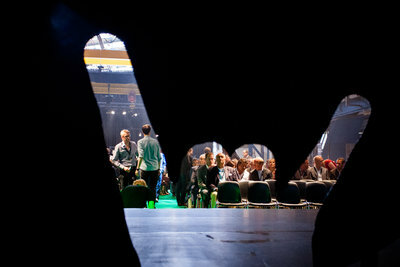 This year the event will take place on November 4-6 and Rockstart is an official partner. The Smart Energy Accelerator will host their Selection Days during the event, offering the 25 finalists huge exposure to industry stakeholders. 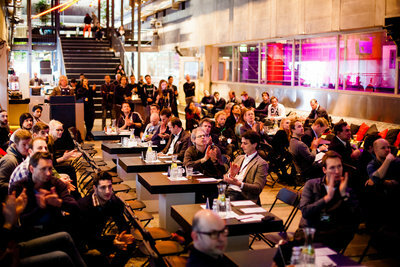 The first Rockstart Accelerator launched in 2012 and has accelerated 39 startups in four programs so far. To date 72% of our web/mobile startups have attracted funding from the likes of Greylock Partners, Balderton Capital, Vitulum Ventures and other renowned European and American angels. Rockstart Accelerator is part of Rockstart which helps startups to be more successful in their first 1,000 days through funding, housing, acceleration, events and more.